This was taken two weeks ago when we went to Tiendesitas. It was such a bright day and I couldn't resist taking a snap of the fluffy clouds. Those clouds look like cotton candy. A beautiful shot. Thanks for the Rose postcard! 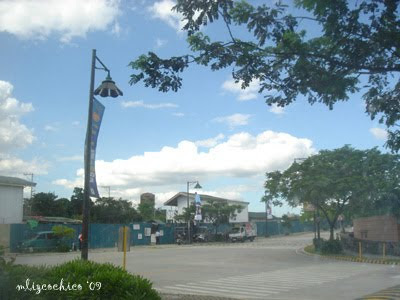 uy tagal ko na d napunta sa tiendesitas ah.. nice fluffy clouds. ♥First Giveaway♥ ko... join to win fab prizes :D see ya! the last time I was in Tiendisitas was before Ondoy hit us, kaya it's nice once again to see beautiful fluffy clouds hovering over it!